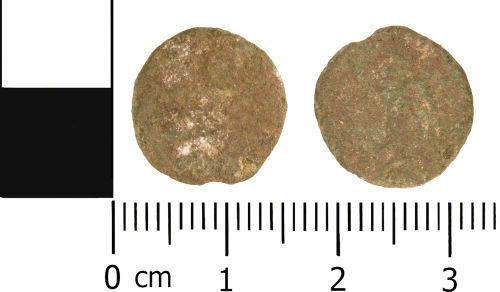 A complete copper alloy radiate, possibly of Tetricus I (AD 271 to AD 274), probably dating to the period AD 271 to AD 274 (Reece Period 13). Probably VICTORIA AVG reverse type, depicting Victoria walking left with wreath and palm. Mint uncertain.